Associate Professor Marianne Nissen Lund at Department of Food Science (FOOD) and Department of Biomedical Sciences (BMI) at University of Copenhagen has received 5.9 million kroner from the Danish Council for Independent Research to investigate how the quality of dairy products can be improved using plant polyphenols – known as antioxidants – and how the reaction products formed between proteins and plant polyphenols are absorbed by the body and affect our intestinal flora. Maillard reactions are a major problem for long-life dairy products, as they contain a lot of protein and sugar and typically undergo a high-heat treatment in the form of sterilisation or ultra-high temperature pasteurisation (UHT treatment). UHT is used to avoid bacterial growth and improve the shelf-life of the products. In order to achieve this improved shelf-life, the dairy products are pasteurised at 135-140 degrees for 3-4 seconds (as opposed to ordinary milk, which is pasteurised at 72 degrees for 15 seconds). The high temperature creates the basis for an undesired Maillard process (browning effect) to be initiated. The process is sped up if the dairy products – for example, long-life milk – are later exposed to temperatures above 40 degrees and are stored for a long time. For example, if they are transported in ship containers in the baking sun, the temperature of the milk products can reach up to 70 degrees during transport. Maillard reactions degrade the quality of the milk, which becomes discoloured, has an inferior taste and loses important amino acids. Maillard reactions are also known from other foods and it is, for example, the same chemical reaction that causes bread in the oven and meat on the pan to smell and taste good. But in dairy products, the effects are mostly negative. Associate professor Marianne Nissen Lund. “Recent research suggests that the Maillard reactions can be prevented by adding very small doses of plant polyphenols to the dairy products, but interactions between some types of polyphenols and various milk components can result in undesired side reactions. The project will therefore also investigate which plant polyphenols work best for improving the dairy products. 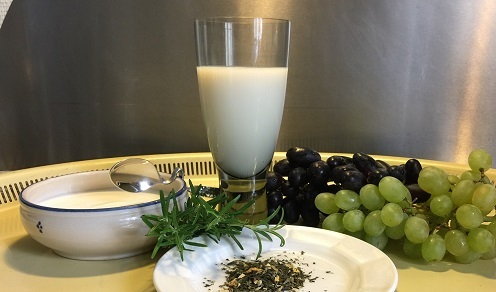 Some polyphenols are less useful as they give a bitter aftertaste or discolour the dairy product,” explains Associate Professor at Department of Food Science (FOOD) at University of Copenhagen Marianne Nissen Lund, who is leading the project supported by the Danish Council for Independent Research. Another well-known effect of adding polyphenols to foods is the formation of protein-polyphenol reaction products. The extent of these reactions in dairy products is currently unknown and will be investigated in the new project. The same goes for how our absorption of protein is affected when polyphenols bind to the proteins. Up to this point, research has focused on the absorption of proteins or polyphenols on their own. The question is how both proteins and polyphenols are absorbed if they are ingested as part of a dairy product, where they are likely to be bound together. In addition, researchers will study how proteins bound to polyphenols affect the intestinal flora. “Our hypothesis is that the absorption of proteins will be affected if they are modified with polyphenols. Therefore, we will investigate whether the digestion of the proteins that bind polyphenols will be affected when compared to proteins that do not have polyphenols bound to them – initially by experimenting on mice,” says Marianne Nissen Lund. The research project will study how polyphenols from plants can be used to inhibit and control Maillard reactions in dairy products. Maillard reactions are reactions between sugar and protein, which give rise to undesired taste in dairy products. In addition, the project will investigate how the reaction products formed between proteins and plant polyphenols are absorbed by the body and affect the intestinal flora. 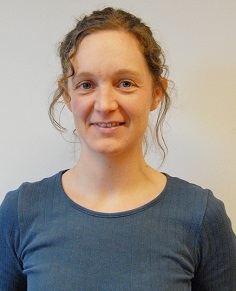 The project, which has been awarded 5.9 million kroner by the Danish Council for Independent Research, is lead by Associate Professor Marianne Nissen Lund who has a shared position between Department of Food Science (FOOD) and Department of Biomedical Sciences (BMI) at University of Copenhagen and will run for four years starting on 1 January 2018. The Danish Council for Independent Research awards grants to researchers studying important scientific questions that arise from the researchers’ own ideas. According to the Chair of the Danish Council for Independent Research, Professor Peter Munk Christiansen, the projects are characterised by the fact that the researchers have a deep social responsibility and a great ingenuity.